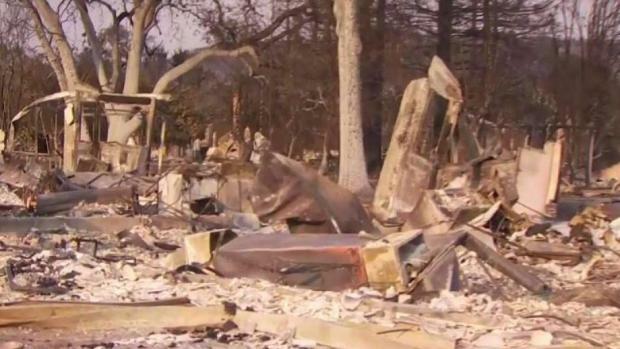 The NBC Bay Area Investigative Unit asks why Sonoma County never activated a mass cell phone alert that could have warned hundreds of thousands of people throughout the community to evacuate their homes during Monday’s deadly fires. In the days following Monday’s deadly series of fires throughout Sonoma County, dozens of residents asked why they never got an emergency alert similar to the flash flood warnings or Amber Alerts that blast an audible sound and flash a short message. 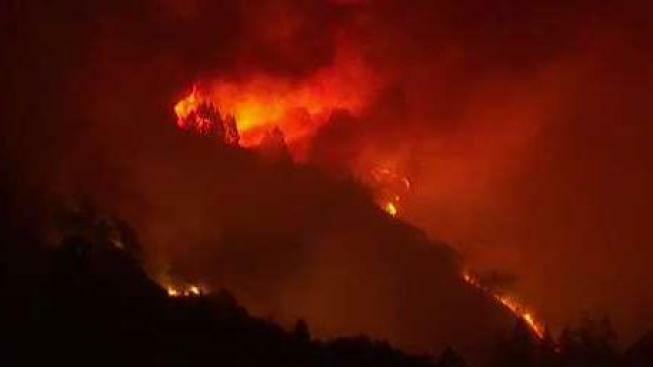 Sonoma County emergency officials said they worried it would have caused confusion, but the NBC Bay Area Investigative Unit has learned emergency personnel in Lake, Marin and Orange counties all used their wireless emergency alert systems to inform thousands of residents about evacuations in their counties. NBC Bay Area's senior investigative reporter Vicky Nguyen interviews Sonoma County manager of emergency services about why he chose not to activate a mass alert system when the wildfires broke out late Sunday night. Santa Rosa residents from Fountaingrove to Coffey Park told similar stories of being woken up by neighbors, law enforcement, and in many cases, smoke and fire at their doorsteps shortly after midnight Monday. “I never got an alert,” Robert Jaco said. He awoke to the sound of emergency vehicles rushing down Old Redwood Highway. His home on Ramsgate Court in the Larkfield area burned to the ground. He said he’s grateful he was able to get his family out in time. 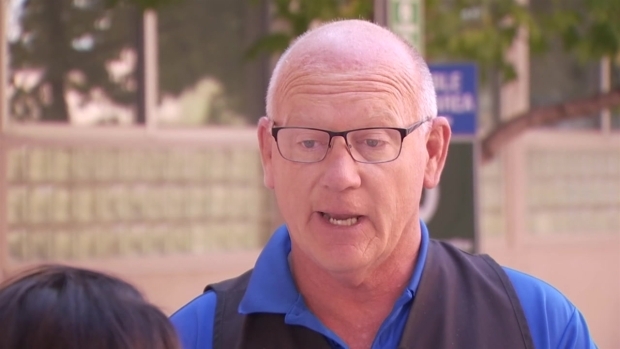 The NBC Bay Area Investigative Unit asked Christopher Helgren about his decision not to activate the county’s wireless emergency alert system. It is a system the county first acquired in July 2016 but has never used. It can simultaneously alert all of the county’s 500,000 residents through their cellphones. In the wake of the deadly fires in Santa Rosa, many are asking why Sonoma County officials didn’t activate a mass cellphone alert. Senior investigative reporter Vicky Nguyen reports. Helgren, along with his emergency coordinator Zachary Hamill, were both out of the area when they were notified of the fires fanning across Santa Rosa. Helgren said he did not realize the magnitude of the fires until he arrived in the city around 6 a.m.
“We did the best with the information we had at the time,” Helgren said. Instead of activating the countywide alert, which automatically goes to residents with cellphones, unless they’ve opted out, the county used the Soco Alert system to send a robocall to 170,000 landlines and 15,000 residents who signed up for the system. Helgren acknowledged the drop in landlines from 350,000 to 170,000 since 2010. The wireless emergency alert system works by sending alerts to people who are geographically linked to cellphone towers in the area, targeting wide swaths of people who could be in harm’s way. Helgren bristled when asked if the county should have activated the mass alert. “In order for an emergency alert and warning to be effective, you have to get the warning to people in danger. The whole county was not in danger. To call 500,000 people in this situation was not an appropriate response in my professional opinion.” He added he did not regret not sending the mass alert. Helgren urged people to go to www.socoalert.com to register their mobile devices for future alerts. The Nixle system, administered by law enforcement agencies, is another alert service residents can opt into by texting their ZIP code to 888777. Since igniting Sunday in spots across eight counties, the series of wildfires have killed 31 people and burned 3,500 homes and businesses. NBC's Vicky Nguyen: Do you think more people would have gotten out sooner had you sent out the mass alert? Christopher Helgren: I can’t answer that question. I think in this situation if we had done that, we could have potentially ruined the access for people to get out of this area. NBC: You think by sending out that alert you would have blocked people from getting out? Helgren: That wasn’t … that’s not the way we’ve utilized the system; that’s not the way we have traditionally used that system. NBC: If you have access to a system that can send out a mass alert, why didn’t you use it? Helgren: Because the evacuation areas were specific areas. If I send a message out to 500,000 people simultaneously, what’s going to happen to those mass of people trying to leave at the same time especially in the middle of the night? NBC: But the people in Coffey Park, Mark West, Fountaingrove and beyond, many told us they didn’t get the alert. Are you telling me that’s because they weren’t signed up for the proper alert? Helgren: I don’t know. I can’t answer that question. I don’t know if individual people got the alert or not. NBC: I’m telling you they didn’t. NBC: But they would have if you activated the other system. Helgren: That’s true. That’s true. NBC: And you decided not to. Helgren: I think I justified my reasons. NBC: Would you have done anything differently? Helgren: At this point, I feel like you … I feel like I’ve explained myself.